Apple is expected to keep TSMC as its sole provider of application processors for the iPhone and iPad for the next two years, according to industry analysts cited by EE Times in Taiwan. Apple has used TSMC as a chipmaker since 2014. Reports in January had TSMC reaching a deal to provide all of the "A12" chips for the 2018 iPhone lineup, and production began in May. The Apple/TSMC relationship, while it's been lucrative for both parties, remains risky for them as well. Apple does not have a backup supplier for the chips, nor has it moved to diversify its supply chain for them, the way it's begun to for screen panels and other components. As for TSMC, it is heavily dependent on Apple, which provides about 75 percent of its business. And, while Apple is in a position where it could conceivably move on to a different supplier at some point, TSMC would likely find themselves in huge trouble if Apple ever walked away. This is not without precedent. Imagination, a British firm that formerly designed the GPU in the iPhone, iPad and Apple Watch, put itself up for sale last year after Apple dropped them, ultimately selling to Canyon Bridge Capital Partners. Another supplier, Dialog Semiconductor, has seen its stock drop based on rumors that Apple may change how it handles power management chips. However, according to EE Times' sources, there aren't many rivals out there likely to take away TSMC's Apple business, as neither Samsung or Intel is seen as having much chance to replace them. 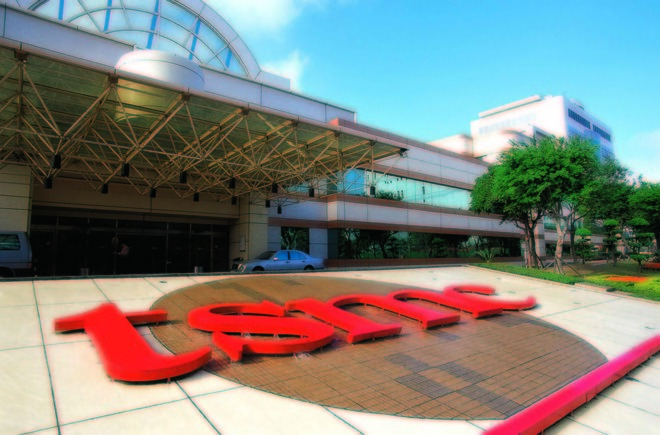 TSMC, back in July, trimmed its outlook for the year. While this was attributed at the time to a decline in demand for chips used in cryptocurrency mining, the 2018 iPhone cycle is seen as crucial in helping them recover from a bad quarter.